TOWRANG, AUSTRALIA, July 31, 2018 /24-7PressRelease/ — Channel D continues to revolutionize waiting room media for dentists with the launch of its new website. 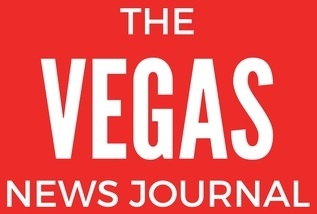 The website provides visitors with extensive information on Channel D and highlights examples from its evolving library of customizable, curiosity-capturing videos. The video system is available to English-speaking dentists worldwide, including those with offices in the United States, Australia, the United Kingdom, New Zealand, Canada, and Singapore. The new website employs a host of engaging features and content to tell dentists and office managers how Channel D grows their practice, explain how the product works, and provide sample videos and reviews from satisfied clients. Sernik previously practiced dentistry for more than 20 years, with offices in Australia and the UK. As a result, he recognized the value of partnering with a marketing agency that has significant experience serving dentists. Ultimately, Sernik and Channel D partnered with Page 1 Solutions on the design and development of the new website. Based in Lakewood, Colorado, Page 1 Solutions has been providing website design and development, search engine optimization, and comprehensive marketing services for dentists since 2001. Channel D is the only video system for the dental reception area that is proven to achieve real practice growth in a format that patients enjoy watching. “While there have been many products out there that aim to generally educate, we wanted a targeted system that specifically leads the patient to make better treatment decisions,” Sernik said. The services that dentists now provide are continually expanding, but patients are generally unaware of what is possible today. The Channel D model encourages clinicians to request new concepts that promote their latest services. Many videos are highly personalized to each practice featuring the people of the practice. This helps the patient view each video as a personal message from the dental team. The videos are designed to be graphically different from each other and incorporate elements designed to cause surprise and curiosity. This curiosity triggers patients’ questions about dental treatments for issues that the dentist would like to promote. Channel D uses a simple content management system to help dentists and practice managers create their own custom playlists. Playlists can be synced on one or more screens in the reception area through TVs via the specially developed Channel D Media Stick device that links the TV to the Channel D servers. This delivery vehicle is adaptable, making Channel D suitable for corporate dental groups who need to deliver corporate-specific content. Channel D is a creative partnership among people with experience in diverse fields such as dentistry, advertising, animation, and digital media. 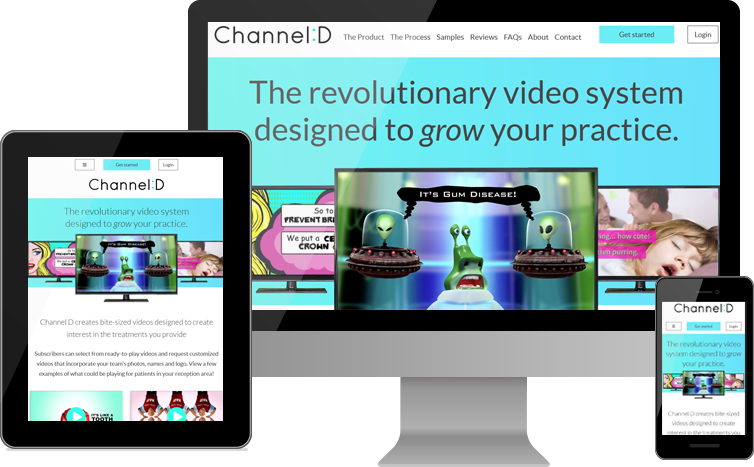 The goal of Channel D is to help dentists grow their practices with videos that are personalized, eye-catching, and lead to practice growth. Dentists who subscribe to Channel D instantly have full access to a video library with more than 100 clips. There is a single simple pricing model that covers all content, including all custom requests. Channel D provides a 100 percent risk-free trial for 28 days.